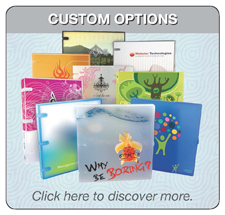 EnvyPak™ brand secure flap page protectors offer superior protection, organization and storage. These keep all of your business cards, sample swatches and photos all in one place. Stock sizes offer single to multiple durable pocket options. Manufactured with the highest quality materials it is easy to construct the presentation you desire. Photographic Activity Tests (PAT) were conducted by an independent laboratory which confirmed that the polypropylene materials used to manufacture the EnvyPak™ line of pages can safely store important photos and materials without producing harmful reactions that can damage contents. These page protectors fit perfectly in our UniKeep™ Case Binder. 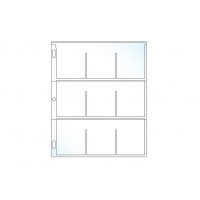 Making these the best option for small or large office applications. As low as $0.228 per sheet! EnvyPak Photo Sheet Protectors are crystal clear polypropylene and are the best solution to store and protect your precious photographs. As low as $0.159 per sheet! 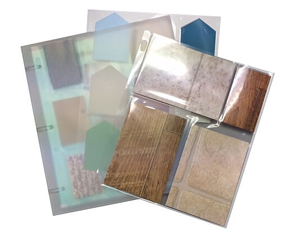 EnvyPak Trading Card Pages are crystal clear polypropylene pages and designed for archival safe storage and presentation of any collectible cards.